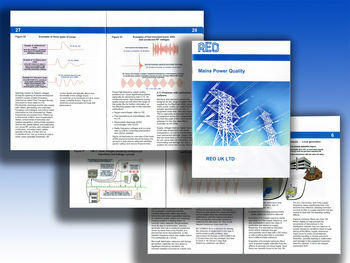 A new 60-page handbook entitled ‘Mains Power Quality’ is available free from REO UK. It is the latest addition to the company’s extensive reference library of handbooks that is available via its web site, www.reo.co.uk. REO’s new handbook explains the nature of AC power quality, why it is increasingly important and outlines preventative techniques. It explores what factors impact upon power supply to degrade it and the potential consequences. The effects of the different influences are examined with respect to public supply mains networks, local area generation systems and power delivered via electronic devices, such as UPS units; all explained with the help of numerous colour illustrations. The handbook also identifies and details relevant international standards governing mains power quality. These cover aspects of power supply and safeguarding of equipment. Prevention and avoidance measures are looked at in depth. Here, both procedures and/or solution providing devices are suggested for the most common situations.